﻿Now 77 years old, Pelle Petterson remains completely unimpressed by his own efforts as a car designer. He just shrugs his shoulders that, for more than 50 years, Volvo consciously ignored the fact that it was him and not the Italian carrozzeria Frua that had styled the P1800 sports coupe. In fact, Petterson can’t really understand the growing interest around him and the P1800. He’s happy to receive a visit, however, and is especially pleased to see the two models we ‘ve bought with us – both photographer Lofstedt and I own P1800s, and meeting the man behind the car is a long standing ambition. We’ve invited ourselves to an impromptu “car signing” at Pelle’s house on the eve of the model’s 50th anniversary in 2010. Suntanned, weather beaten and dressed in ‘Pelle P’ his own range of clothing, Petterson welcomes us to his waterfront home in the little town of Kullavik, 25km south of Gothenburg, from which he has been turning out designs for many years. Apart from the Volvo P1800, the only other car he worked on was the NSU Prinz, but Petterson has been involved in plenty of other industrial design projects. He is still an Olympic yachtsman and has spent most of his life either sailing competitively or designing boats, including the popular Maxi Yachts. After offering around the Danish pastries, our affable host begins to tell us how it all started: “I grew up with a father ‘Helmer Petterson’ who was a real car freak. 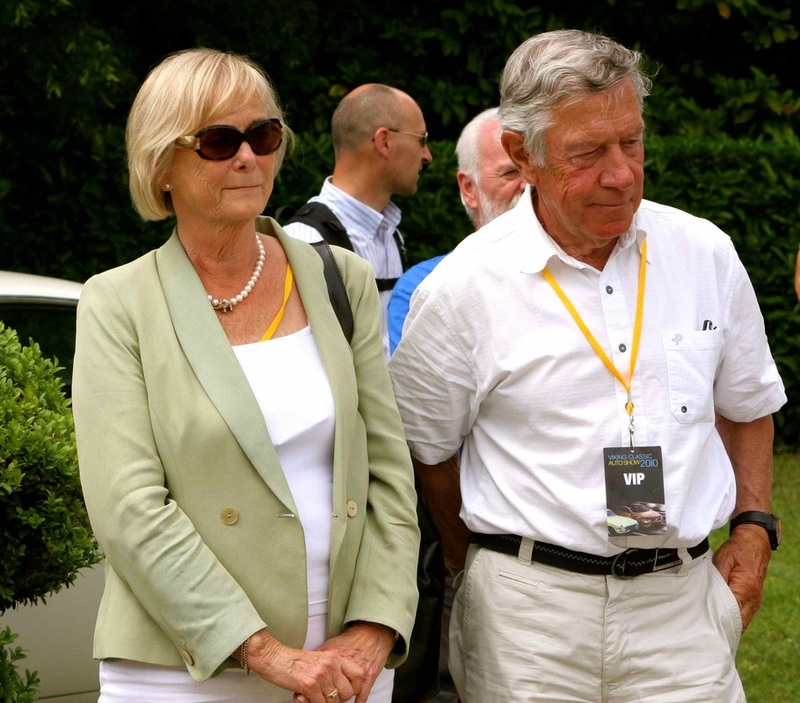 He was a racing driver and I remember those days at the track very clearly – that was something to look up to! My father was also an inventor, and he developed wood/gas generators for cars during the war. That was what brought him into contact with Volvo. He had good taste and a fine sense of form and, although he had no training, he was a talented practical man. When Volvo decided to build a new car in 1943, my father was given responsibility for the project and from time to time I was allowed to follow him to work and watch him developing the car, which had been dubbed the PV444. I used to race soapbox cars and I got a lot of help from my father and won races in a car built specially for me by Volvo carpenters. I later studied maths and physics before training as an engineer and travelling to the USA to study design. In order to enter the American market, Volvo wanted to build a sports car from glass fibre – still a relatively new material in the 1950’s. The project, which was christened the P1900 was plaqued by technical problems and in the end only 67 examples of Europe’s first glass fibre car were built. The dream of building a desirable car for the American market remained alive, however, and the unfortunate P1900 paved the way for an all-new sports car, the P1800. And this time Volvo succeeded. “Volvo wasn’t planning to build a fast car,” explains Petterson. Volvo listened to Petterson senior, and the project was duly passed to the Turin coach-builder. 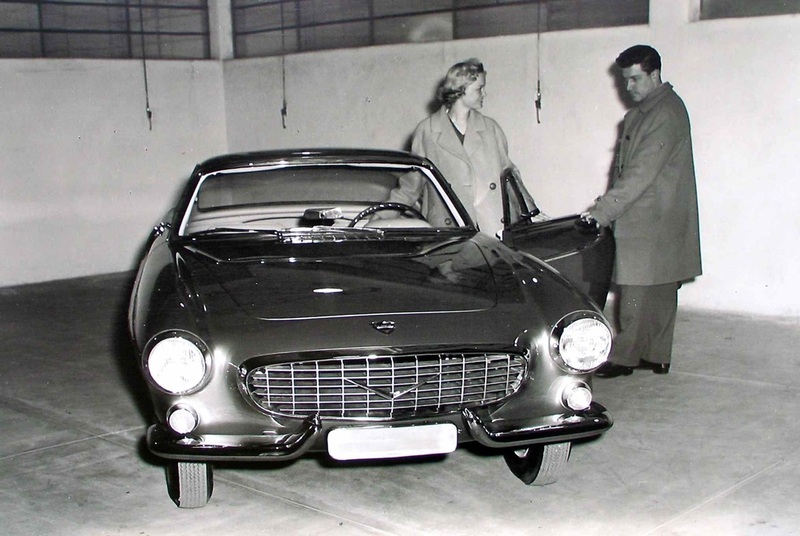 At the same time, Helmer managed to secretly ensure that the newly qualified Pelle, then aged 24, would be employed by Frua so that he could propose a design for the new car. “My father got me the job.” Explains Petterson, “but he did it very discreetly. No one at Volvo new that I was employed by Frua. Volvo decided to initiate the project in the summer of 1957 and wanted to see five proposals, so I travelled to Fura in Torina to draw one. The Itailans weren’t very good at visualizing or presenting the projects but I was, and they were so pleased with my drawings that they set me to work on the other four proposals, too. Story has it that, when Luigi Segre and Helmer Petterson presented the five designs to Volvo Director Gunnar Engelau, he immediately selected Pelle’s drawing and said that it was the car he wanted. When he found out that the young Swede and his father had gone behind his back he was furious, and demanded that it remain a secret. Petterson’s design success was attributed to Carrozzeria Frua for many years and his name was, effectively swept under the carpet. The Volvo P1800 started production in late 1960 at Jensen Motors in the U.K. The new project was codenamed “Florida” and everything seemed to be ready. Carrozzeria Frua built the first three prototypes, and Helmer Petterson reached an agreement with Ghia to manufacture the vehicle. Everything was ready to roll but in February 1958 Volkswagen forced Ghia to drop the P1800. Bosses were worried that it would compete with the Karmann-Ghia, which they also had engaged Ghia to build. It looked like being the end for the P1800. It began to look as if the P1800 would never see the light of day. Volvo had made no official announcements about the new coupe but, after a mysterious press release turned up with a photograph of the car, Volvo ws forced to acknowledge its existence. From that point on, Project Florida started to gather momentum. Volvo approached Jensen Motors in the U.K, which accepted a contract to build 10,000 cars. Jensen reached an agreement with Pressed Steel of Scotland to supply the monocoque shell and began building the car. The P1800 made its debut at the International Motor Show in Brussels in January 1960, and the first production P1800 (1961 model) rolled off Jensen’s assembly line in September to greet an eager public. Along the way, however, a few slight changes had been introduced to the car. They altered a number of details. I had envisaged the exhaust as being central, but they moved it to make room for the number plate. I also wanted to give the P1800 broader tyres and rims, but the car’s construction simply couldn’t handle them. I’ve subsequently seen some cars on which those sorts of alterations have been made and they look really good. I like the car’s original front end. The grill was good, but unfortunately it was removed as a cost saving when the car’s manufacture was moved to Gothenburg in Sweden. The clock and the switches also came in for some criticism later on because they could cause injuries to the driver in the event of an accident. The big steering wheel was a must because there was no power steering. In 1963, Volvo decided to move production of the P1800 back to Gothenburg. There was spare capacity at the plant. Furthermore, Volvo wasn’t satisfied with the quality of the product that Jensen was turning out. The contract was re-negotiated, and in the end Jensen built only 6000 cars. In connection with the move, a number of design details were changed and several technical alterations were carried out. The engine was upgraded to a 2 litre, four cylinder and the bumpers were flattened and conjoined. The powerful grille design was replaced with a cheaper wire mesh version, while Petterson’s signature curve was straightened out. The modified P1800’s type designation was ‘S’ for Sweden and manufacture continued largely unchanged until production ceased in 1972. 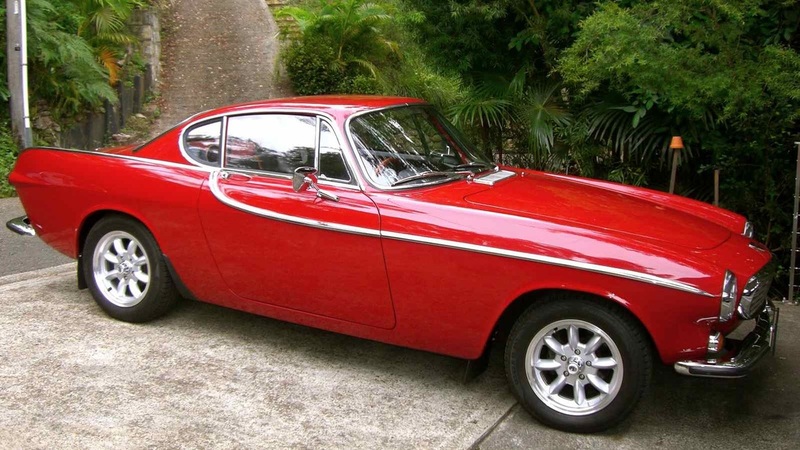 Approximately 47,500 Volvo P1800 have been built between 1961-1973. The first 6,000 cars were assembled by Jensen in U.K. and the remainder were built in Sweden.